The cryosphere comprises all the frozen water and soil on the surface of the Earth. Mass Balance of the Cryosphere focuses on two key components of this environment: land ice (in the form of ice sheets, caps and glaciers) and sea ice. These components have been identified as important indicators of both short and long term climate change. Early chapters cover the theory behind field-based and satellite observations, and modelling of mass balance, providing a thorough grounding in all the concepts and issues presented later in the book. 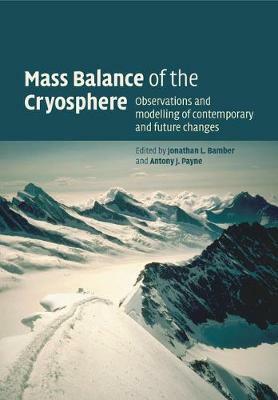 Later chapters review our current understanding of the present and predicted future mass balance of the cryosphere. This is an important reference for all scientists working in the fields of climate change, environmental sciences and glaciology. It is written by leading authors in the field, and is fully integrated to provide a coherent, cross-referenced and consistent exposition on the subject.